Rena and Herman Hawthorne lost their water in 1999. This article was originaly published by the NB Media Co-op. Penobsquis/Fredericton - Wilf Pearson, a jovial but straight-shooting retired truck driver who painted Christmas murals on downtown business windows in the small city of Port Colborne on Lake Erie never lived to see the day that the Supreme Court of Canada denied his community a hearing. Pearson, like many others who lived on Rodney Street in the shadow of the Inco nickel refinery, felt that the city's largest employer, the refinery, was responsible for contamination and sickness in his working-class neighbourhood and surrounding farmlands. The original claimant on a historic class action lawsuit filed over 10 years ago, Wilf Pearson died in March of this year at the age of 80. Pearson and the claimants on the suit made the difficult decision to go after Inco for only the devaluation of their properties, and not a list of other impacts they connected to the refinery, like sickness, because of legal advice on how the courts work. 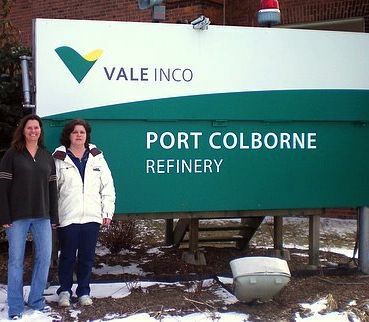 In their class action suit, Port Colborne residents claimed that their property values were diminished by the nickel emitted from Inco's refinery over a 66-year period prior to 1985. On July 6, 2010, Ontario Supreme Court Justice J.R. Henderson sided with the residents and awarded $36 million to 7,000 Port Colborne households including Pearson's, in what was Canada's largest environmental class action lawsuit award. Households in the Rodney Street area, the location of the refinery, were each awarded $23,000. In its appeal, Vale, formerly Inco, questioned whether the trial judge had erred on different accounts, including whether the nickel discharge by Inco onto the property of the claimants had actually constituted an actionable nuisance. In April, the Supreme Court of Canada sided with Vale and ruled that the claimants had failed to establish Vale’s liability. Diana Wiggins, a mother who pulled her son out of a Port Colborne elementary school in 2001 because she suspected that it was making her son sick, says she is not surprised by the court ruling given that three of the judges on the case had recently been appointed by the Harper government. "Harper won't be happy until this country has third world standards," says Wiggins. Beth Norrad argues that her farming community of Penobsquis, New Brunswick has been living under such standards for years. Norrad's house was one of the first to lose its artisan spring water in 1999; her well and her neighbours’ wells went completely dry in 2004. 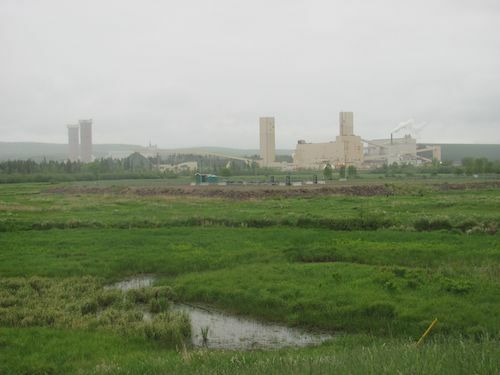 Their homes are situated directly above the potash mine workings. 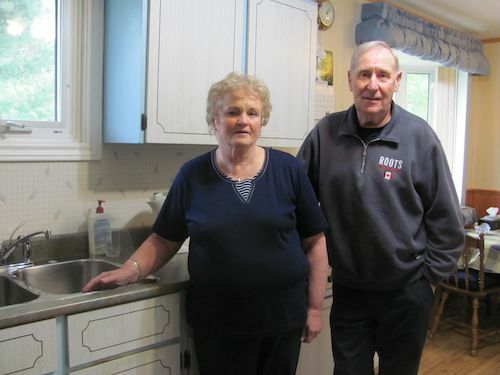 Norrad and others in Penobsquis have been watching the Port Colborne lawsuit closely and thinking about what it could mean for their community in their pursuit for compensation for devalued property. Beth Nixon, spokesperson for the Concerned Citizens of Penobsquis and mother of four children under the age of 12, says that 60 wells in Penobsquis were lost at the same time that PotashCorp and Corridor Resources were conducting rounds of seismic testing. Penobsquis residents reported hearing and seeing the seismic blasts, and noticing dirty water or total loss of water not long afterwards. 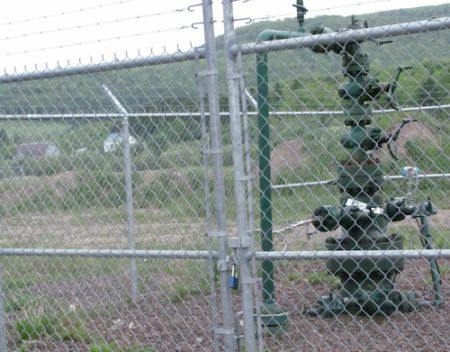 Seismic testing is occurring in different places in New Brunswick in the hunt for shale gas. Penobsquis residents have recently expressed their frustrations of feeling abandoned by the provincial government. Chris Bell, a Penobsquis woman who lost her well water in 2006, attended an open house on natural gas in nearby Sussex in January 2011 to voice her opposition to shale gas and fracking to then Environment Minister Margaret-Ann Blaney. "Blaney said to me, 'you people in Penobsquis are just so angry.'" Bell says she was shocked by the comment. "I responded with, don't you think I have the right to be angry. I have lived here for years without water. I have been manipulated, lied to and no one seems to care, especially the government," recalls Bell. In May, Blaney, then Energy Minister, resigned from politics to accept an appointment as the Chief Executive Officer of Efficiency New Brunswick, a position that many including the Opposition say is a patronage appointment. The Concerned Citizens of Penobsquis are taking their case to the Mining Commissioner, a public mechanism set up to deal with grievances related to mining in New Brunswick. They are asking for compensation for a long list of impacts they say are caused by potash mining, including the loss of 60 water wells; plunging property values; the sinking of land that is damaging their homes; dust, noise and light pollution; and stress. The hearings before the Mining Commissioner, which started in the spring of 2011, are ongoing in Sussex. Regularly found at the hearings are supporters of Penobsquis from across the province. Rallies are occasionally organized outside the hearings to draw attention to the problems in Penobsquis and to protest against shale gas development and fracking, which has also occurred in the rural community. The Alward government has rejected calls for a moratorium or a ban on shale gas. The anti-shale gas alliance in New Brunswick includes over 40 organizations, most of them community-based. Natural Resources Minister Bruce Northrup, who represents Penobsquis and Sussex in the provincial legislative assembly, said in May during the release of a discussion paper on regulating shale gas that there have been no issues with seismic testing in the province in the past year. But Heather Whalen, an organizer against shale gas from Durham Bridge, near Fredericton, disagrees with Northrup's claim. "We ended up with dirty water after seismic testing for shale gas. We had to remediate the water ourselves by shocking it, and then they tested again and it was clean. There was no proof it was from seismic testing but our water was fine when we bought the house a few weeks before," says Whalen. Whalen says that seismic testing in her neighbourhood has brought truck traffic, noise and dust to her back country roads: "We moved here for peace and quiet. I had many sleepless nights due to stress of feeling like we were under attack, watching for them everywhere, having security parked at the end of our road, just a few meters up from my driveway." New Brunswick was recently ranked as the top jurisdiction to mine anywhere in the world by mining companies in an annual survey published by the Fraser Institute. But mining has left Beth Norrad and other residents of Penobsquis, about a 2 hour drive from Fredericton, wanting to pack up and leave their communities forever. “Residents of Penobsquis and of New Brunswick deserve better. We deserve a government that looks out for our communities. Instead, the burden of proof, and the costs to prove anything, rests on us,” says Nixon. Nixon says it is emotionally draining to watch her neighbours testify--many of them elderly, some in tears, their voices trembling. The shale gas industry took a hit in May when the Royal Planning District Commission reported that New Brunswick's groundwater from the Bay of Fundy to Grand Lake is vulnerable to contamination. "This study is the only case of mapping of aquifers done in recent memory in the province of New Brunswick. We need groundwater mapping in order to assess future developments. They did this study not only for planning, but also because of the Penobsquis situation and the threats from the proposed Salt Springs gas storage, fracking, and the proposed Millstream mine. We should be insisting that all Planning Commissions undertake studies like this around the province. This is one government body that is actually standing up and working for its residents," says Nixon. For standing up to big industry in their communities, Diana Wiggins, Beth Nixon, Beth Norrad and many others have been labelled, the subject of looks and comments that make them feel uneasy. But they've also been recognized and celebrated for their efforts by different organizations and their neighbours, some who quietly support them but are afraid to do so publicly because of fears of losing their jobs, among other reasons. "I know I will not stop until justice has been served," said Wiggins as she contemplates the next course of action to take in the wake of the disappointing Supreme Court ruling. Wiggins, who originally called the Canadian Environmental Law Association, setting the lawsuit in motion, says her fight is not over. She says Port Colborne residents are contemplating filing individual lawsuits that will extend beyond asking for compensation for devalued properties and will include health, environmental and other impacts. "In Canada, one can appreciate the importance of jobs in the resource sector. If health and environmental issues in particular are not addressed by government, and legal processes don't allow for compensation, then there is no deterrent for companies. And communities like Penobsquis and Port Colborne will suffer the consequences," says Nixon. A civil disobedience workshop was held on Saint Mary's First Nation in Fredericton on May 26th. Many people who actively oppose shale gas are new to activism. They are quickly learning that the government and the courts are not there to protect them and that they need to take bold and decisive action that defies the current legislative and court frameworks to protect their families, communities and the entire planet from the devastating impacts of fossil fuel extraction. 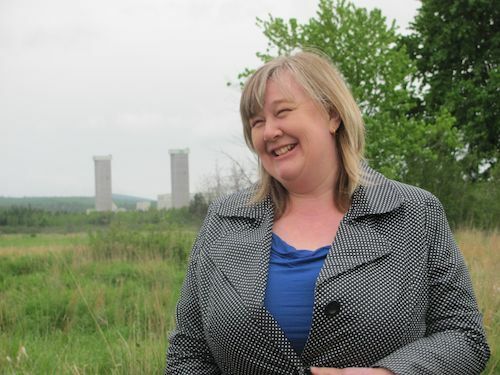 Heather Whalen says that the prospects of shale gas development in New Brunswick has had one positive side-effect, "It has made some people who never fought anything in their life stand up and fight for what they believe in."